Graciela Ortiz, Delavan, Minn., made this paper doll based on the story of someone who benefits from the ELCA World Hunger program efforts. 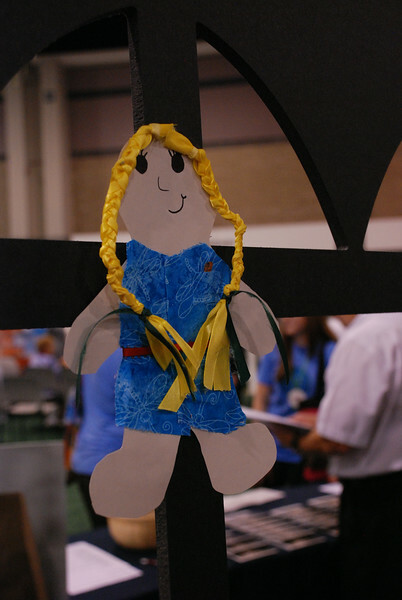 It hangs with other paper dolls on a fence behind the ELCA World Hunger and ELCA Malaria Campaign exhibit at the 2014 Triennial Gathering. EH.